Only a 360° camera mounted with our super high resolution fish-eye lens can provide clear view even in 100 m ahead. 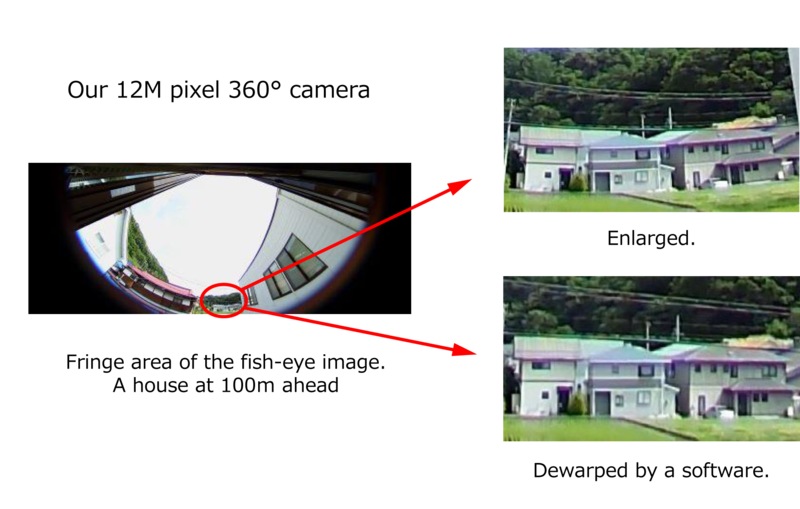 We dramatically improved the image quality at the long distance that any conventional 360° camera is inferior to. As for the urban style surveillance camera in the future, leave it to our NUD360-F.
360° camera should provide clear view in a fringe area. 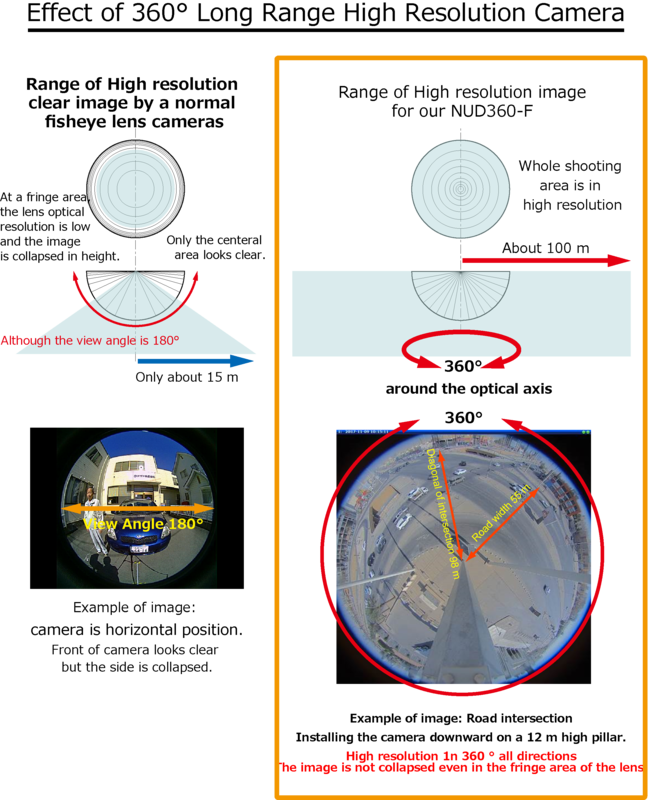 Due to the characteristic of the fisheye lens, the image in a fringe area is compressed on the conventional 360° cameras. Therefore, the picture becomes very coarse when being expanded or dewarped electronically. The fish-eye lens we newly developed realizes high resolution while achieving sufficient height in a fringe area. It enables a long-distance surveillance in all 360° directions. 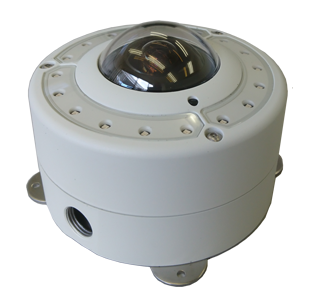 Our camera provides very clear view in a distance in all 360° directions. Comparing with competitive 12M pixel fish-eye cameras, our NUD360-F is superior in a long distance view in all 360° directions. Installing NUD360-F facing down on the 12 m high pole at the corner of the very wide 4 roads crossing. The roads are 55 m wide and the diagonal width is 96 m. NUD360-F provides 360 degree clear view even in a long distance. 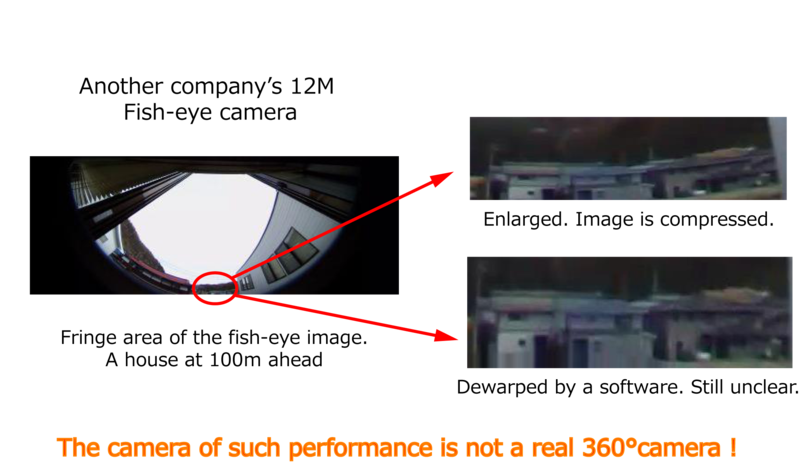 This camera is connectable to the IoT cloud survice "ANYSENSE®" from NTT Data Corporation.